﻿ About Guidance Law Firm, P.C. Lamont Maddox is a knowledgeable and experienced professional committed to the best interests and protection of his clients. Mr. Maddox focuses his law practice on general business law matters, such as business start-ups, mergers and acquisitions, financings, securities, contracts, leases, intellectual property, corporate governance, and estate planning. As a former business owner, Mr. Maddox understands the needs and objectives of business owners; he was president and founder of Maddox Technology, Incorporated, a computer consulting firm serving small and moderate size businesses, for over 10 years. Mr. Maddox is a member of the Virginia State Bar. He has served on the board of directors of the Make-a-Wish Foundation of Eastern Virginia, South Hampton Roads United Way Foundation, Chesapeake Law Library and Norfolk NATO Festival, as well as the advisory board for the Legal Aid Society of Eastern Virginia. Mr. Maddox serves on the boards of directors for the UVa Club of Tidewater and Norfolk State University Foundation. He is a member of the Hampton Roads Community Foundation Professional Advisors Committee and Community Leadership Partners. Mr. Maddox serves as treasurer of the Norfolk & Portsmouth Bar Association, and he is the immediate past president of the South Hampton Roads Bar Association. Mr. Maddox has been recognized by Virginia Business magazine as a "Legal Elite" in Business Law and as a top attorney for Business/Corporate by Virginia Super Lawyers Rising Stars magazine, as well as AV Preeminent Peer Review Rated by Martindale-Hubbell. 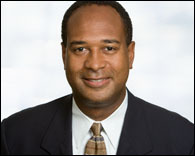 Lamont D. Maddox, J.D., M.B.A. Copyright © 2010 - 2019 Guidance Law Firm, P.C. All Rights Reserved.